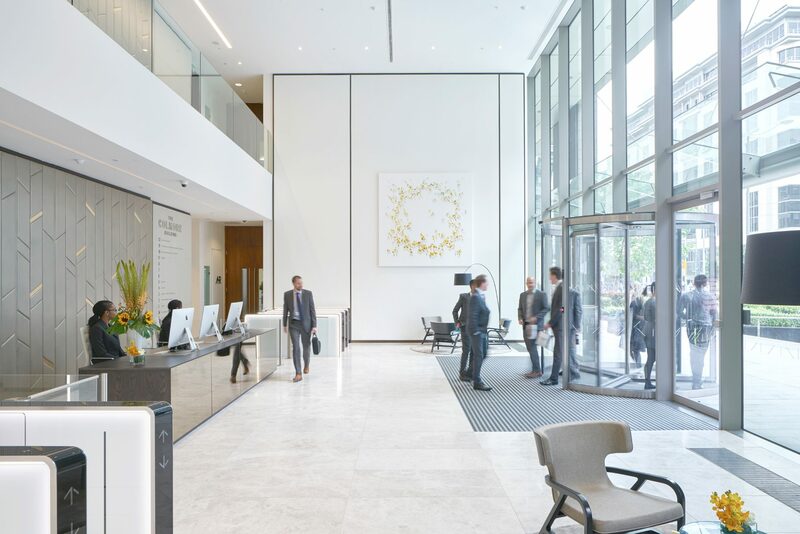 The Colmore Building, a 14-storey Grade A office building located in Birmingham’s central business district, presented an exciting opportunity to totally transform this out of date building, bringing it up to a standard deserved of it’s prime location in the heart of the city. 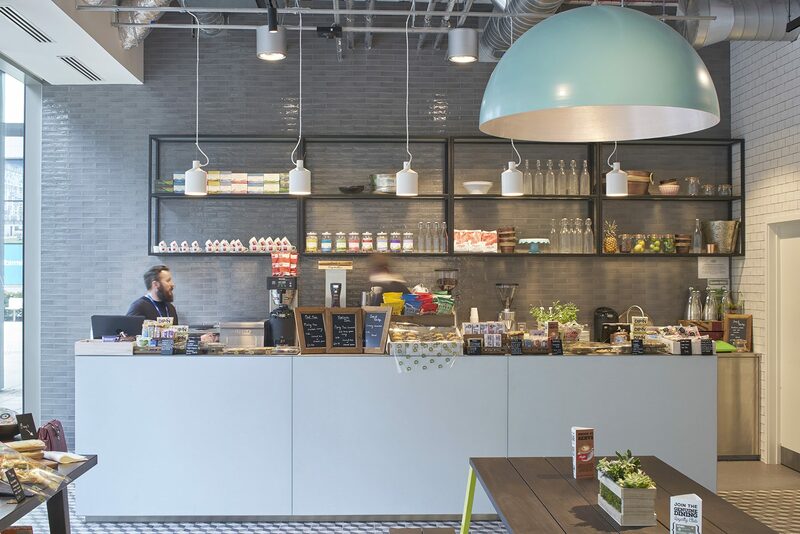 The transformation included the creation of a 6000 sq ft gymnasium, 3 treatment rooms, new ground floor public café, bicycle store and complete refurbishment of reception and common areas. The aim of the refurbishment was principally to declutter the dated palette of materials and replace with a more refined fresh design. 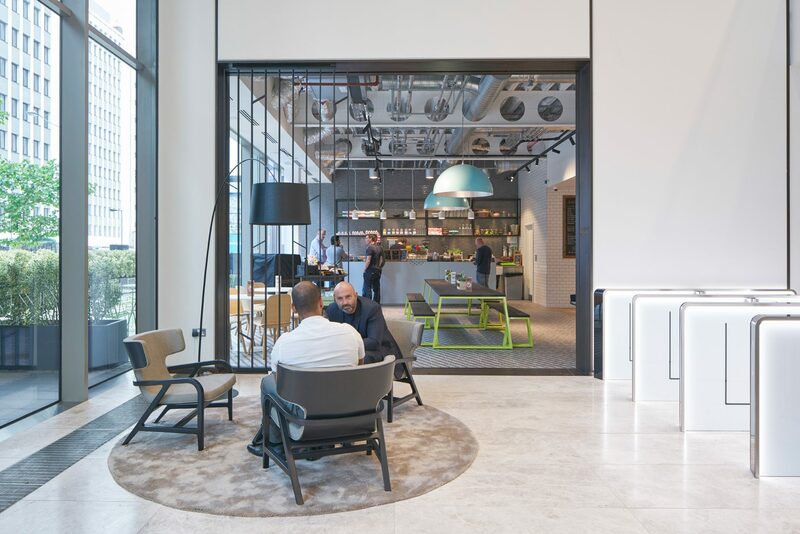 The finished scheme presents a mixture of warm tones alongside carefully chosen bespoke elements including a specially commissioned art piece, crafted feature leather wall, bronze etched glass and dark oak reception desk. 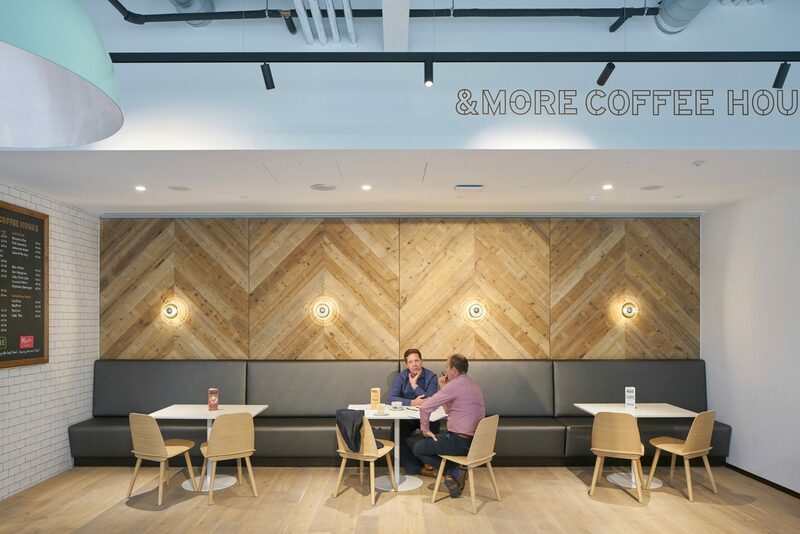 Directly adjacent to the reception, the new café provides a wide range of fresh produce, drinks and coffee throughout the day and is accessed from both in and outside the building, offering a fantastic informal meeting space for both visitors and workers alike.